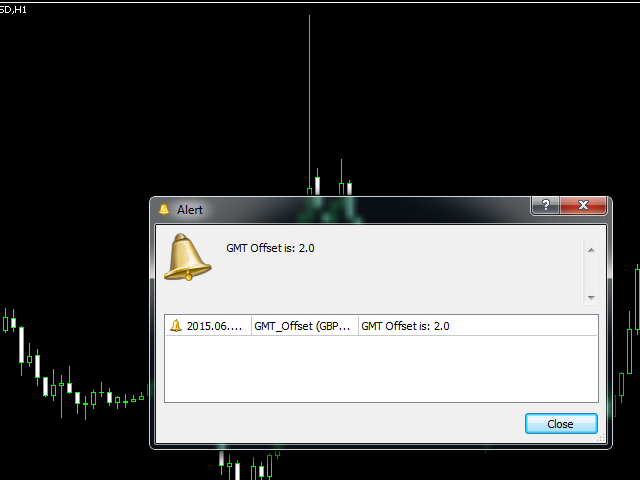 This script is developed to help traders and users of MT5 to get the UTC/GMT offset. It is easy to use the script. Just attach it to any chart while the MT5 is connected and the market is open and it will show you alert with the GMT offset value. Using this script the users of MT5 can get the value of GMT offset without returning or visiting any web site or doing any calculations. GMT offset is used in a number of EAs and custom indicators.